Theory/Hypothesis: Could gluten (found in wheat) have coated my intestinal walls making it hard to absorb nutrients and/or BROCCOLI (A goitrogen) was BLOCKING iodine from getting into my body. Provided that I have an iodine deficiency, and the iodine deficiency causing temporary hypothyroidism? My theory/hunch has been that if I continue to 1. (chronological) be gluten-free and 2. avoid goitrogenic foods) the iodine will absorb in my body to where I eventually will no longer need thyroid replacement hormone. Brain teaser: Was the prevention of iodine absorption caused by GLUTEN or excess ingestion of GOITROGENS? To further research: CAUSES OF IODINE DEFICIENCY: GLUTEN AND/OR GOITROGENS? 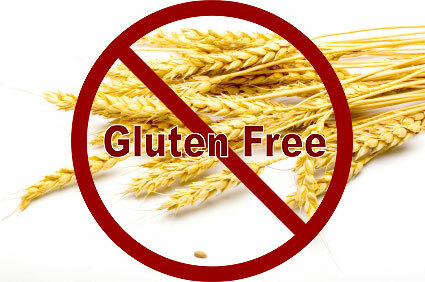 UPDATE: GLUTEN IS SAID TO BE A GOITROGEN! I AM DEAD ON IN MY RESEARCH! SO, could it be that the COMBINATION of GLUTEN + GOITROGEN has caused my AUTO-IMMUNE CONDITIONS!